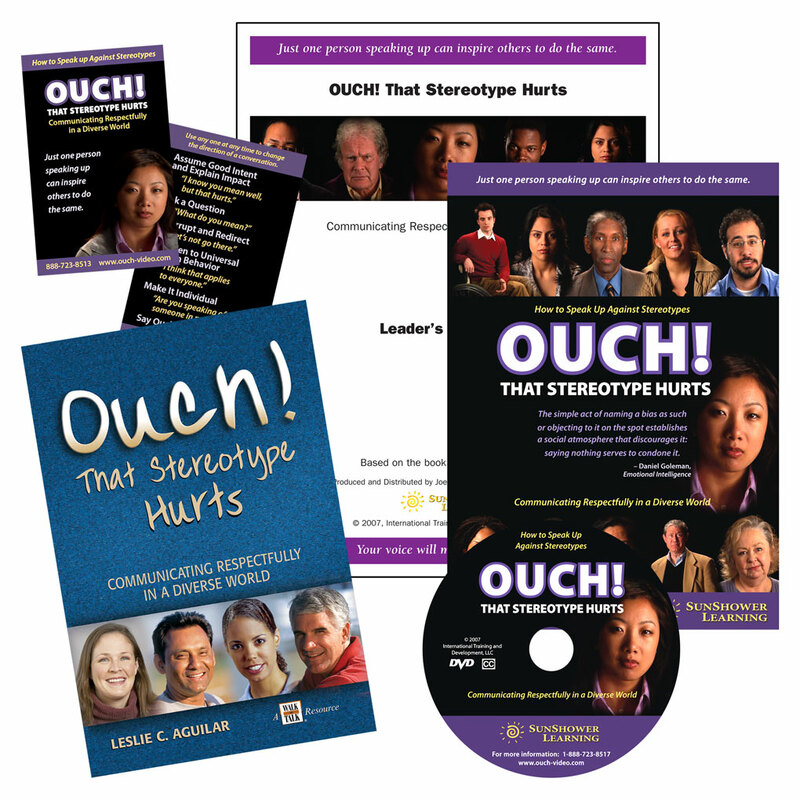 This video [DVD] program continues the conversation that Ouch! That Stereotype Hurts started. Ouch! 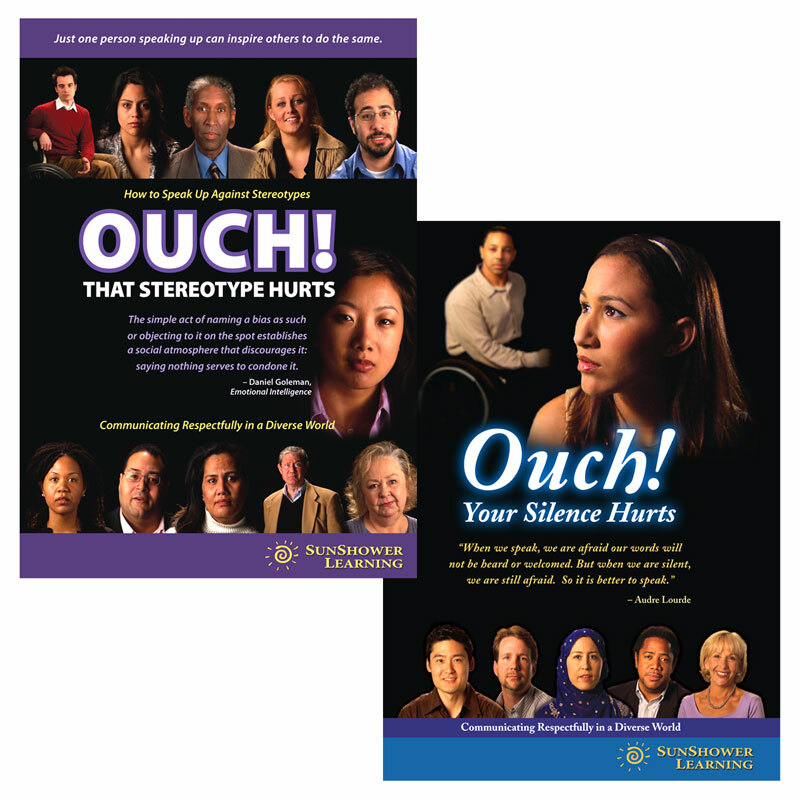 Your Silence Hurts explores the high cost of silent collusion and the power of the bystander to make a positive difference. 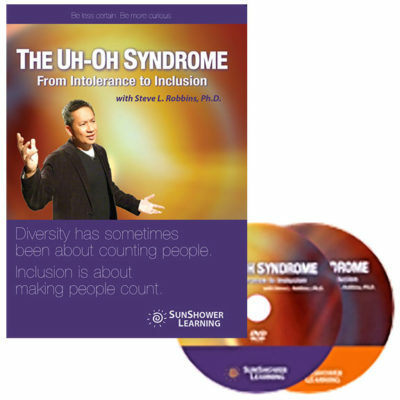 Includes Leader’s Guide, PowerPoint, Participant Materials, and Extra Features for a 30-minute or 1-hour workshop. Choose the format(s) below that best meet your organization’s needs. For 10 or more copies, please call 407-859-1191 or email us HERE. Buy the Ouch! Bundle [DVD or USB] and save 15% = $1100.00 on one bundle! Previous purchasers of Ouch! 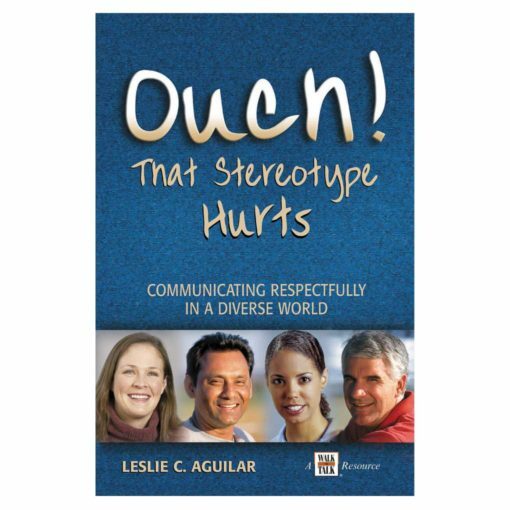 That Stereotype Hurts are eligible to purchase Ouch! 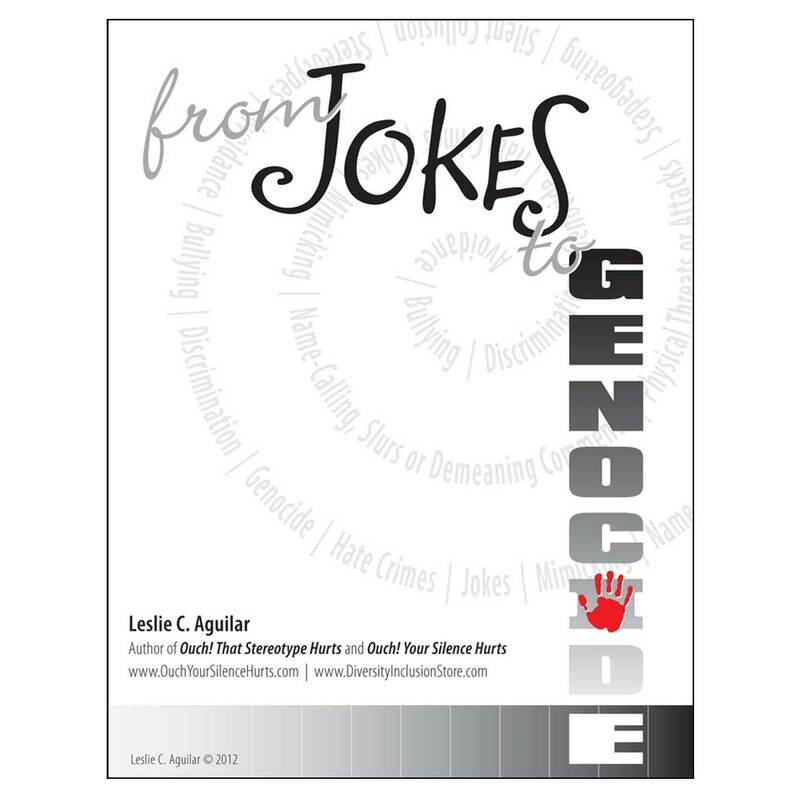 Your Silence Hurts for $405, a 32% discount off the regular price. Call 407-859-1191 to order. 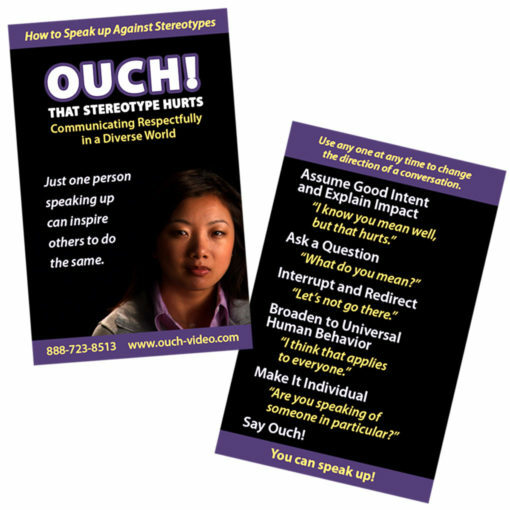 Contact us at 407-859-1191 or email us HERE to purchase an Ouch! Your Silence Hurts streaming license. For other quantities or group showings, please call 407-859-1191 or email us HERE. Contact us at 407-859-1191 or email us HERE. 1) Select the RESOURCE, FORMAT and QUANTITY below. 2) Click ADD TO CART. 3) Click VIEW CART. Then add / apply your governmental, educational, nonprofit Discount Code, if applicable. 4) PROCEED TO CHECKOUT or CONTINUE SHOPPING. I have one word, FABULOUS!!! 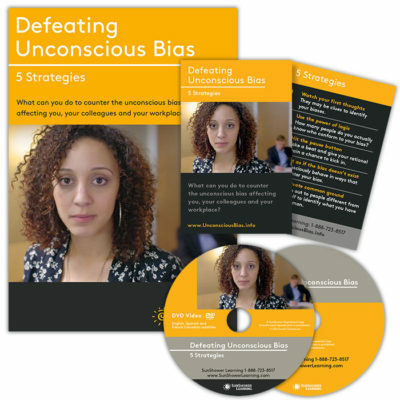 This video gives real, gut-wrenching examples of individuals and situations. Most important, it challenges people and gives them the idea that they have the ability to confront stereotypes by showing them how. Ouch! Your Silence Hurts will be so helpful because most people want to do something, but don’t know what or how. You know we love your first Ouch! 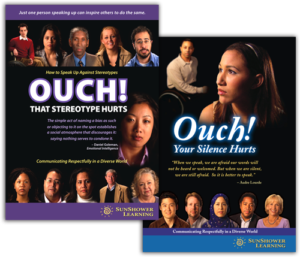 That Stereotype Hurts video. Your new one – Ouch! Your Silence Hurts – is ten times better. My assistant had tears in her eyes. You nailed it with showing the impact of staying silent. Check HERE for more testimonials about Ouch! That Stereotype Hurts and HERE for news and reviews! 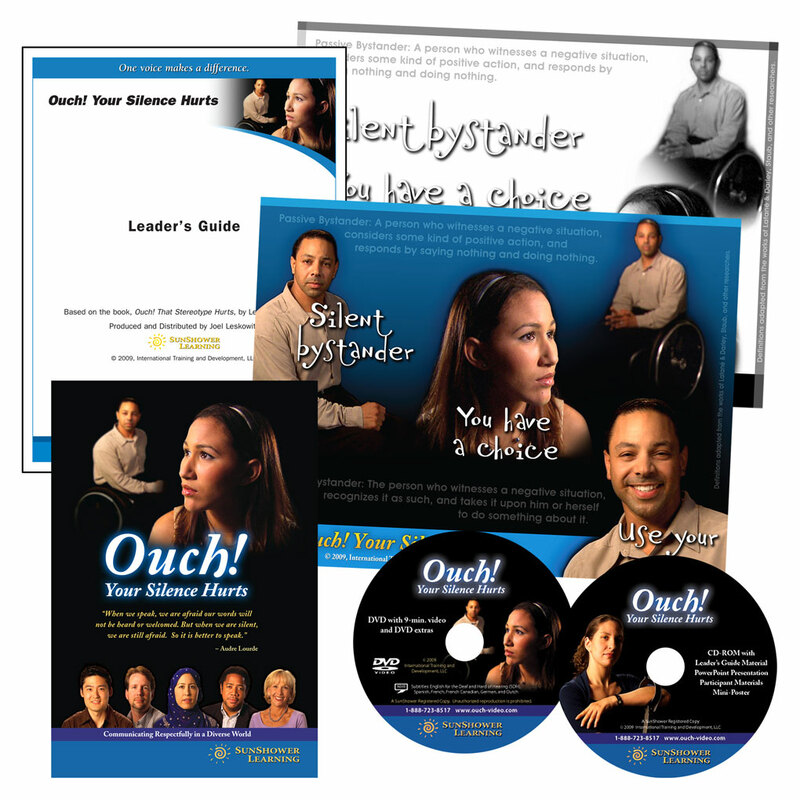 Additional Quantity Discount Pricing: For deeper discounts on the purchase of 10+ video copies, 2501+ trainee licenses, 10+ Ouch! 2-Video Bundles or for pricing for your learning initiative please call 407-859-1191 or email us.